Peggy Shelton Garrison (89) went to her heavenly home on Oct. 20, 2018. She was a loving and generous person who loved her family, church and friends. She is preceded in death by her parents, Spencer Shelton Sr. & Lucy Smith Shelton: her brother Spencer "Bub" Shelton Jr. and her sister Kay Shelton Berndt. She is survived by her husband of over 70 years, Miller Garrison; her son Steve Garrison (Wendy), her daughter Dotsie Helton (Steve); her grandchildren, Travis Garrison (Summer) and Laura Wood (Jeff) and great grandchildren Bailey Garrison & Levi Wood, and many nieces and nephews. She is a graduate of Stanley High School where she met the love of her life, Miller Garrison. She worked as the school secretary for a short time. She worked for Talon Inc, where she became Personnel Manager. 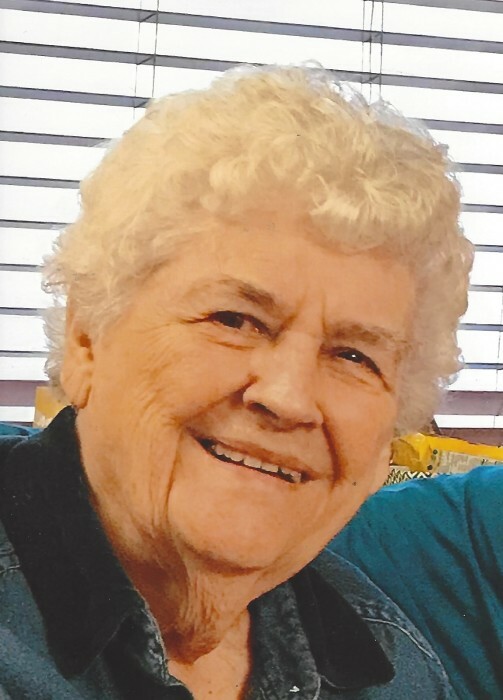 She was a long-time member of First Baptist Church in Stanley, where she served in many capacities including teaching Sunday School, WMU Director, church clerk, many committees and singing in the choir. She also served on many local and state committees and boards and sang with the Sweet Adalines. She was a member of the Eastern Star. She also ministered on over 77 mission projects, including overseas, World Changers, Habitat for Humanity and Disaster Relief for the NC Baptist Men. Services will be Monday October 22, 2018 at 6:00 pm at First Baptist Church, Stanley. The family will receive friends afterwards in the FLC of the church. Special thanks to Molly, Summer, Tamaro & Nancy, her caregivers and to Gaston Hospice. Also, to the many people who called, sent cards, brought food or flowers and who visited her the last nine months, we are truly grateful. She was truly blessed to have so many people who cared about her. In lieu of flowers, please make a donation to the NC Baptist Men Disaster Relief Fund, WMU of NC, Samaritan’s Purse, Baptist Children's Home of NC, First Baptist Church Stanley, Gaston Hospice or the charity of your choice.